13 Bankers: The Wall Steet Takeover and the Next Financial Meltdown - IFA Vintage and Current Book Library - Index Fund Advisors, Inc. The desire to analyze the current economic downturn has prompted a deluge of books, most focusing on how to address present and future economic ills and some narrowly focused on individual players and institutions that played a key role in the financial collapse, while others explained the events that led us to this place. 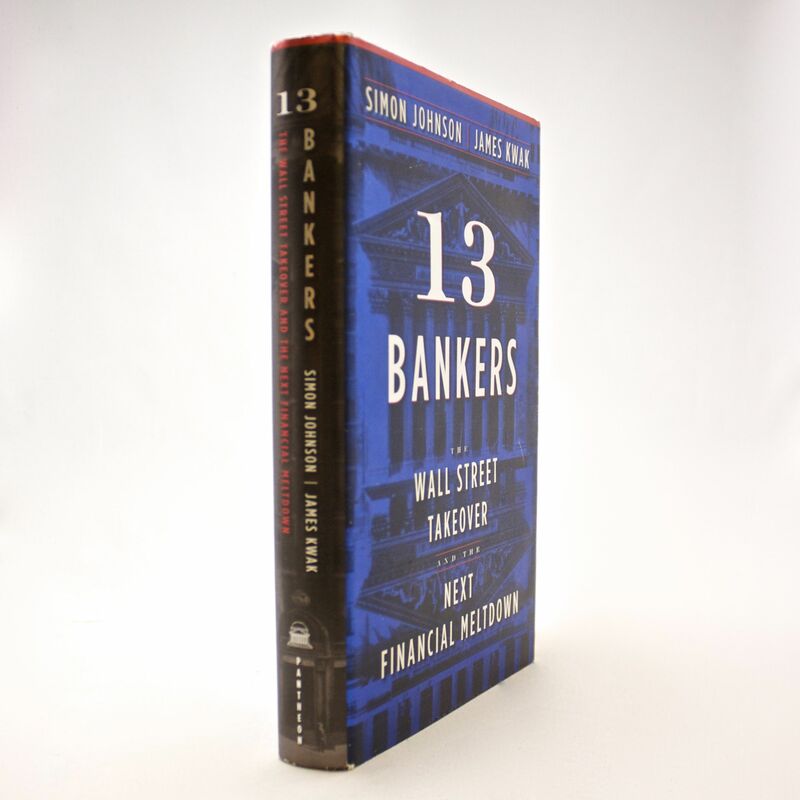 "13 Bankers" explains how we got here and more importantly comes up with ideas to prevent a recurrence in the future far more concisely than many others I've read. I could be easy to dismiss Johnson and Kwak's observations as being pessimistic, as makes a very damning indictment of the banking and financial sectors in their past and present conditions and a rather trenchant argument that if these problem are not addressed we likely face another imminent meltdown. The authors give readers a quick concise history of finance and banking in the United States, something that many Americans are woefully unaware of, that points out how banks and financial institutions came to garner so much power over the economy. While efforts have been made to regulate them to varying degrees those regulations have often proven ineffective or are too often enacted AFTER financial catastrophes, much our current situation. The authors rather persuasively argue that the "too big to fail" model and the bailouts of 2008 and 2009 were misguided, arguing that nationalization would have been the better route to go. They continue the argument that the forced mergers, such as Merrill Lynch and Bank of America, were mistakes and instead had created institutions that are now truly to big to fail. In some respects it almost sounds like a Teddy Roosevelt-era trust buster and his argument that these large institutions need to be broken up to diffuse their power certainly makes sense. They also point out the corrosive effect their political clout and donations carry with the political process, hindering further efforts at regulation.